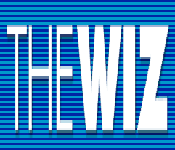 The Wiz was a chain of electronics retail stores located primarily in New York and New Jersey. It was founded in 1976 by four brothers Douglas, Lawrence, Marvin and Stephan Jemal. It eventually changed its name to Nobody Beats the Wiz and in the 1990s it was a major sponsor for all New York sports teams. In 1998 the company was purchased by Cablevision and in 2003 the chain was closed.